It is always an exciting time when babies say their first words. 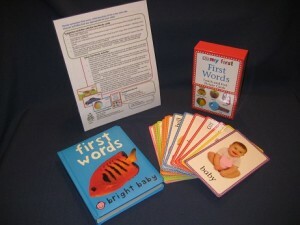 This parent pack gives reading tips, parenting tips, and milestones each baby goes through when learning language. The guide also gives suggestions on how to help babies expand their language. 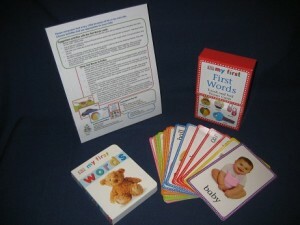 The Touch and Feel Cards included in this parent pack provide great opportunities for language development. 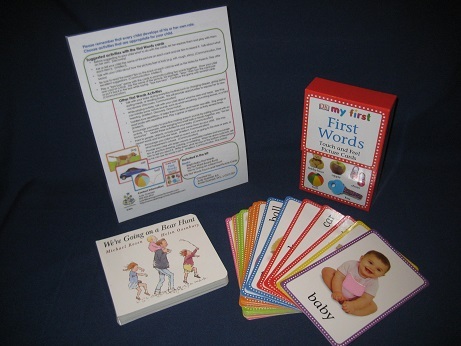 Included in the parent pack, along with the cards, is a two-sided guide and your choice of any one of three board books: Bright Baby First Words, $20.00; My First Word Board Book, $17.00; and We’re Going on a Bear Hunt, $19.00, all housed in a clear, plastic, zippered pouch.